Artist, wife and mom Marlise le Roux was born and raised in Johannesburg. She studied law (B-Proc) at the former Rand Afrikaans University, but has always had a passionate interest in the visual arts. After completing her university degree, she took up painting as a full time career and has never looked back. She initially spent several years painting in Europe but in 2008 returned to her beloved country, South Africa. And it precisely this rainbow of South African colours from which she draws inspiration for her paintings. Today her work is displayed in several galleries and private collections around the world. 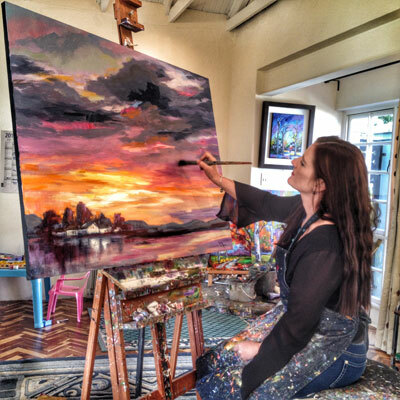 Marlise is also the owner of the Saxonwold Art Events Gallery, where solo and group exhibitions of South Africa's finest artists are regularly exhibited.